USA Woods International, Inc., is a Memphis, Tennessee-based subsidiary of Frank Miller Lumber and wholesale hardwood lumber exporter engaged in the export of high quality, kiln-dried, rough sawn, random width and length hardwoods. We ship Appalachian, Northern and Southern hardwood lumber, including, but not limited to, white oak, red oak, white ash, poplar (tulipwood), cottonwood, walnut, hard & soft maple and cherry. At USA Woods, exporting North American hardwood lumber is our only business. We are keenly aware of the export quality grade standards as well as the service required to maintain successful relationships in overseas markets. 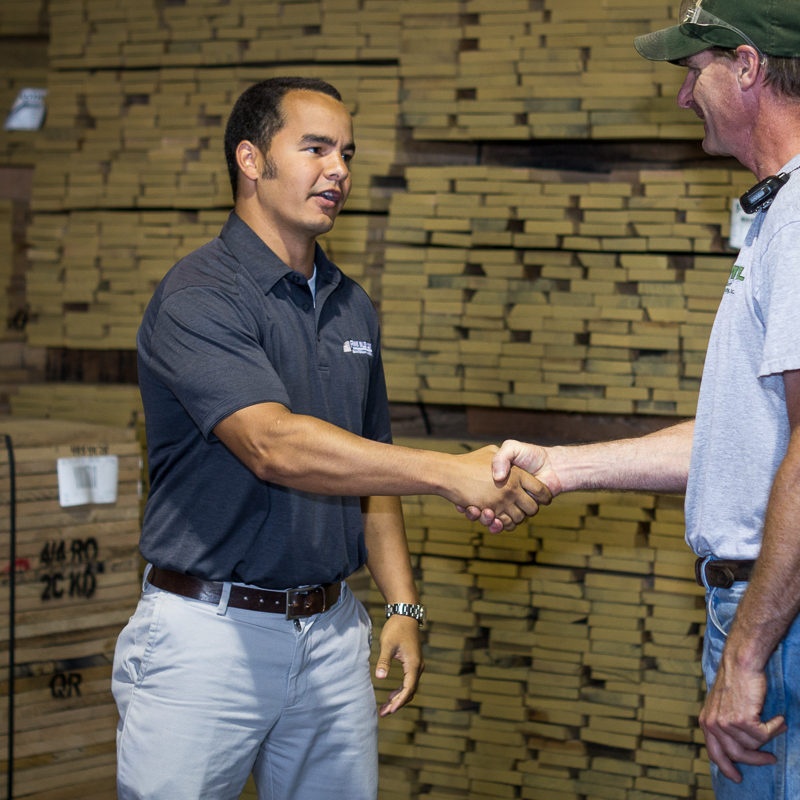 Maintaining high quality standards is a top priority at USA Woods. USA Woods is a member of the National Hardwood Lumber Association (NHLA) and the American Hardwood Export Council (AHEC). Twenty-eight years of export experience. USA Woods International, Inc., was established in 1989 by Ron Carlsson to supply the international lumber market. In 2017, USA Woods was acquired by Frank Miller Lumber. With over 28 years experience, we have the expertise to anticipate and react to the intricacies of the international trade of hardwood lumber. By offering hardwoods from Appalachian, Northern and Southern regions, USA Woods is able to obtain specific colors and textures that a buyer might require. Our goal is to aid our customers in purchasing a wide variety of hardwood lumber economically with an assurance of high quality. To receive more information about our products, please fill out the form below. A USA Woods sales representative will contact you as soon as possible. @ Copyright 2019 USA Woods International, Inc. | All Rights Reserved.